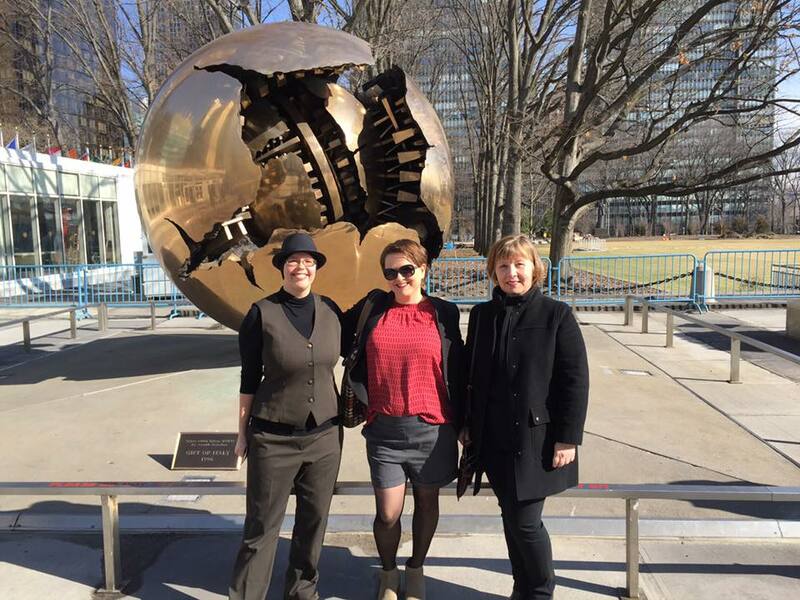 Dr. Rachel Tiller from SINTEF Ocean and Scientific Advisor Elizabeth Nyman from Texas A&M Galveston recently attended a closed session with UNAI (United Nations Academic Impact) at the UN building in New York City. They were two out of three international experts invited to attend a meeting to the General Assembly decision to develop an international legally binding instrument under the United Nations Convention on the Law of the Sea (UNCLOS) on the conservation and sustainable use of marine biological diversity of areas beyond national jurisdiction. The aim of this new international legally binding instrument under UNCLOS is to fill jurisdictional gaps, with an emphasis on an observed increased need to manage marine genetic resources in areas beyond national jurisdiction, that is, areas outside the 200 mile EEZ of a given coastal nation. This is especially relevant for the REGIMES project, in that more than 800 species are expected to change their distribution and migration patterns towards the poles if we continue with our business as usual scenarios under iPCC, according to an article by our WP1 participant from the University of British Columbia (UBC), William Cheung. One of the biggest challenges in areas beyond national jurisdiction today is access to these resources, and how to strike a balance between sustainable use and total protection of our common heritage. The new legally binding instrument covering this area will ensure that not only the states that have reached the highest technological developments at sea can exploit previously unavailable resources and benefit from these. This is also especially important in a REGIMES perspective, where changing eco-system goods and services can lead to new pressures in waters previously covered by ice – such as the Arctic Ocean – an Area Beyond National Jurisdiction. Another challenge is the enforcement of potential laws that are set for these areas relative to for example quotas for marine resources in these areas. Questions that must be answered during negotiations of this treaty are for instance who will patrol and enforce these areas? How will ships be monitored? How will enforcement distinguish between enforcement of private and state actors on the high seas? In what court of law will potential violations of the law be tried? How will benefit sharing be tackled within this framework? And how will we prepare for changes in fish distribution and migration patterns as a consequence of climate change, such as those projected by William Cheung of UBC? The work is comprehensive and the Preparatory Committee of the UN has worked on recommendations on the elements of a draft text for more than ten years now. It is expected that by 2018, the General Assembly will make a decision on whether to hold an intergovernmental conference on this instrument with the end goal of developing a new Treaty. Because of their membership in the International Studies Association, both Nyman and Tiller are able to obtain permission to attend the sessions of this new conference and follow it throughout its lifetime should it come to pass. This is a unique opportunity to follow the birth of a treaty. This work comes at a time when we are at the brink large environmental changes to the marine sphere, with more nations able travel further out to sea into the Arctic waters to harvest new marine resources. Next → Next post: Our Svalbard trip is drawing near!